We’ve got everything you need to get your heart rate up and burn calories. People gain weight because they take in more calories than they burn. Vigorous cardio training returns one of the highest rates of caloric burn for the time spent exercising. Of all forms of exercise, cardio training can be the most beneficial when you're looking for a weight loss solution. 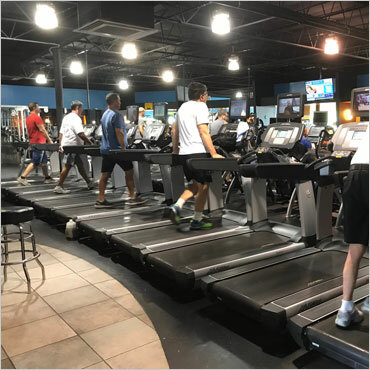 We offer a room full of Life Fitness cardio machines: we have treadmills, ellipticals, water rowers, stair masters, and upright and recumbent bikes. All machines are equipped with personal TVs - you'll burn fat in no time while enjoying your favorite show. At Gulf Coast Fitness, we offer many cardio training options. Our members don’t waste time queuing for equipment. Strength training provides more benefits than most people realize. Just three short strength training workouts per week can yield tangible benefits. Even if you’re not in great shape now, you’ll notice changes in your body if you stick with your strength training program. 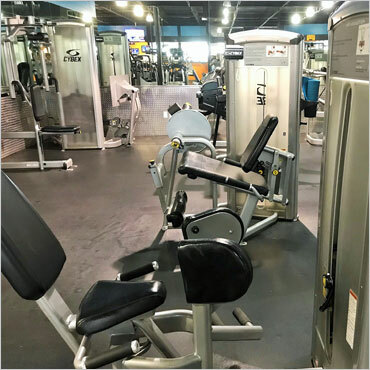 Whether you prefer machine weights or free weights (or a mix of both), you’ll find plenty of what you need and want at our Gulf Coast Fitness of Cape Coral gym. If you're looking to add free weights to your workouts, Gulf Coast Fitness has you covered, even if you're a complete beginner. Our free weights range from 5lbs to 115lbs. 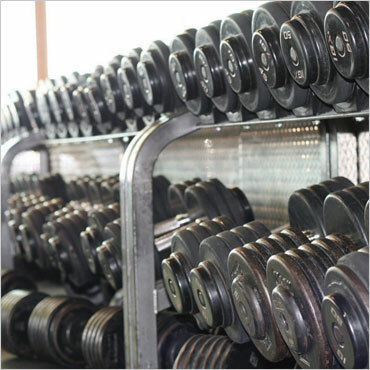 We also offer a large variety of benches, squat racks and Hammer Strength plated machines. Resistant training with machine weights offers a great starting point for beginners to safely and effectively execute a muscle building workout. They guide you through a very specific set of movements, help to maintain correct form, and isolate muscle groups. For the experienced member, they offer a great way to maintain proper body alignment, allowing you to workout safely without a spotter. They also reduce stress on your joints while isolating and targeting a particular muscle or group of muscles.